Do not obtain spinal imaging for patients with acute low-back pain during the six (6) weeks after onset in the absence of red flags. Do not perform repeat imaging to monitor patients’ progress. Avoid protracted use of passive or palliative physical therapeutic modalities for low-back pain disorders unless they support the goal(s) of an active treatment plan. Do not provide long-term pain management without a psychosocial screening or assessment. The American Chiropractic Association (ACA) is the largest professional association in the United States representing doctors of chiropractic. Chiropractors focus on disorders of the musculoskeletal system and the nervous system, and the effects of these disorders on general health and function. Chiropractic services are used most often to treat conditions such as back pain, neck pain, pain in the joints of the arms or legs, and headaches. Widely known for their expertise in spinal manipulation, chiropractors practice a hands-on, drug-free approach to health care that includes patient examination, diagnosis and treatment. On behalf of its members, ACA educates the public about the benefits of chiropractic services, supports research, and provides professional and educational opportunities for chiropractors, with the goal of advancing high-quality patient care. ACA promotes the highest standards of ethics and evidence-informed patient care, and is proud to partner with the Choosing Wisely® campaign. 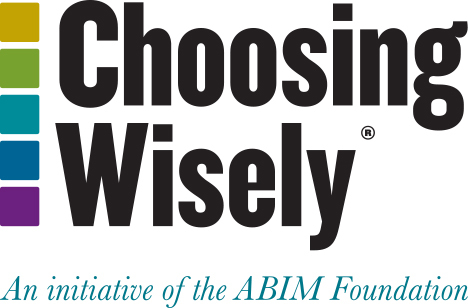 Choosing Wisely® recommendations 1 and 2 are performance measures approved by Centers for Medicare and Medicaid Services (CMS) for the 2017 Spine IQ Qualified Clinical Data Registry for Conservative Spine Care. ACA’s disclosure and conflict of interest policy can be found at www.acatoday.org. Chou R, Fu R, Carrino JA, Deyo RA. Imaging strategies for low-back pain: systematic review and meta-analysis. Lancet. 2009 Feb 7;373(9662):463-72. Bussières AE, Taylor JA, Peterson C. Diagnostic imaging practice guidelines for musculoskeletal complaints in adults—an evidence-based approach—part 3: spinal disorders. J Manipulative Physiol Ther. 2008 Jan;31(1):33-88. Kendrick D, Fielding K, Bentley E, Miller P, Kerslake R, Pringle M. The role of radiography in primary care patients with low back pain of at least 6 weeks duration: a randomised (unblinded) controlled trial. Health Technol Assess. 2001;5(30):1-69. Vining RD, Potocki E, McLean I, Seidman M, Morgenthal AP, Boysen J, Goertz C. Prevalence of radiographic findings in individuals with chronic low back pain screened for a randomized controlled trial: secondary analysis and clinical implications. J Manipulative Physiol Ther. 2014 Nov-Dec;37(9):678-87. Brinjikji W, Luetmer PH, Comstock B, Bresnahan BW, Chen LE, Deyo RA, Halabi S, Turner JA, Avins AL, James K, Wald JT, Kallmes DF, Jarvik JG. Systematic literature review of imaging features of spinal degeneration in asymptomatic populations. AJNR Am J Neuroradiol. 2015 Apr;36(4):811-6. Matsumoto M, Okada E, Toyama Y, Fujiwara H, Momoshima S, Takahata T. Tandem age-related lumbar and cervical intervertebral disc changes in asymptomatic subjects. Eur Spine J. 2013 Apr;22(4):708-13. Okada E, Matsumoto M, Fujiwara H, Toyama Y. Disc degeneration of cervical spine on MRI in patients with lumbar disc herniation: comparison study with asymptomatic volunteers. Eur Spine J. 2011 Apr;20(4):585-91. Kendrick D, Fielding K, Bentley E, Kerslake R, Miller P, Pringle M. Radiography of the lumbar spine in primary care patients with low back pain: randomised controlled trial. BMJ 2001 Feb 17; 322(7283): 400-5. Bussières AE, Taylor JA, Peterson C. Diagnostic imaging practice guidelines for musculoskeletal complaints in adults-an evidence-based approach-part 3: spinal disorders. J Manipulative Physiol Ther. 2008 Jan;31(1):33-88. Ebadi S, Henschke N, Nakhostin Ansari N, Fallah E, van Tulder MW. Therapeutic ultrasound for chronic low-back pain. Cochrane Database Syst Rev. 2014 Mar 14;(3):CD009169. McGregor AH, Probyn K, Cro S, Doré CJ, Burton AK, Balagué F, Pincus T, Fairbank J. Rehabilitation following surgery for lumbar spinal stenosis. Cochrane Database Syst Rev. 2013 Dec;(12):CD009644. Khadilkar A, Odebiyi DO, Brosseau L, Wells GA. Transcutaneous electrical nerve stimulation (TENS) versus placebo for chronic low-back pain. Cochrane Database Syst Rev. 2008 Oct 8;(4):CD003008. Steffens D, Maher CG, Pereira LS, Stevens ML, Oliveira VC, Chapple M, Teixeira-Salmela LF, Hancock MJ. Prevention of Low Back Pain: A Systematic Review and Meta-analysis. JAMA Intern Med. 2016 Feb;176(2):199-208. Cancelliere C, Donovan J, Stochkendahl MJ, Biscardi M, Ammendolia C, Myburgh C, Cassidy JD. Factors affecting return to work after injury or illness: best evidence synthesis of systematic reviews. Chiropr Man Therap. 2016 Sep 8;24(1):32. Kamper SJ, Apeldoorn AT, Chiarotto A, Smeets RJ, Ostelo RW, Guzman J, van Tulder MW. Multidisciplinary biopsychosocial rehabilitation for chronic low back pain. Cochrane Database Syst Rev. 2014 Sep 2;(9):CD000963. Wertli MM, Eugster R, Held U, Steurer J, Kofmehl R, Weiser S. Catastrophizing-a prognostic factor for outcome in patients with low back pain: a systematic review. Spine J. 2014 Nov 1;14(11):2639-57. Taylor JB, Goode AP, George SZ, Cook CE. Incidence and risk factors for first-time incident low back pain: a systematic review and meta-analysis. Spine J. 2014 Oct 1;14(10):2299-319. Daubs MD, Norvell DC, McGuire R, Molinari R, Hermsmeyer JT, Fourney DR, Wolinsky JP, Brodke D. Fusion versus nonoperative care for chronic low back pain: do psychological factors affect outcomes? Spine (Phila Pa 1976). 2011 Oct 1;36(21 Suppl):S96-109. Foster NE, Mullis R, Hill JC, Lewis M, Whitehurst DGT, Konstantinou, K, Main C, Somerville S, Sowden G, Wathall S, Young J, Hay E. Effect of Stratified Care for Low Back Pain in Family Practice (IMPaCT Back): A Prospective Population-Based Sequential Comparison. Ann Fam Med 2014; 12(2):102-11. Kronenke K, Spitzer RL, Williams JB. The PHQ-9: validity of a brief depression severity measure. J Gen Intern Med 2001; 16(9):606-13. George SZ, Fritz JM, McNeil DW. Fear-avoidance beliefs as measured by the fear-avoidance beliefs questionnaire: change in fear-avoidance beliefs questionnaire is predictive of change in self-report of disability and pain intensity for patients with acute low back pain. Clin J Pain 2006; 22(2):197-203. Kawchuk GN, Edgecombe TL, Wong AY, Cojocaru A, Prasad N; A non-randomized clinical trial to assess the impact of nonrigid, inelastic corsets on spine function in low back pain participants and asymptomatic controls. Spine J. 2015 Oct 1;15(10):2222-7. Morrisette DC, Cholewicki J, Logan S, Seif G, McGowan S; A randomized clinical trial comparing extensible and inextensible lumbosacral orthoses and standard care alone in the management of lower back pain. Spine (Phila Pa 1976). 2014 Oct 1;39(21):1733-42.
van Duijvenbode I, Jellema P, van Poppel M, van Tulder MW. Lumbar supports for prevention and treatment of low back pain. Cochrane Database of Systematic Reviews 2008, Issue 2. Art. No. : CD001823. Qaseem A, Wilt TJ, McLean RM, Forciea MA; Clinical Guidelines Committee of the American College of Physicians.Noninvasive Treatments for Acute, Subacute, and Chronic Low Back Pain: A Clinical Practice Guideline From the American College of Physicians. Ann Intern Med. 2017;166(7):514-530. Azadinia F, Ebrahimi E Takamjani, Kamyab M, Parnianpour M, Cholewicki J, Maroufi N. Can lumbosacral orthoses cause trunk muscle weakness? A systematic review of literature. Spine J. 2017,17(4):589-602.